“A few years ago, I came together with the two other owners of Miller Leith. We were all in our early 30s and we’d all worked hard to establish relationships in the executive recruitment space for 5–10 years. But we were fed up working for large transactional firms that were all about dollars. “We all shared a passion for the Fast Moving Consumer Goods (FMCG) industry. From the largest Tier 1 blue-chip organizations to the smallest food and beverage companies. We’re proud to be ingrained across the sector. Whether through speaking to businesses, going to seminars or reading the magazines. It gives us a solid understanding of the struggles the industry faces, and the diverse talents it needs to thrive. “I’m 34 and I’ve never run a business before. I’ve worked for bigger businesses where I was employed to do the job I’m good at. But it’s something quite different to understand the whole foundation of what makes an organization work. “Suddenly you’re asking, ‘What are our responsibilities about super and tax?’” When you miss things in business, it can have a catastrophic effect for you and your employees. “Recruitment is all about connecting the right people and opportunities. But to experience that lightbulb moment of the perfect match, you need to have felt that connection yourself. “Almost all of us, at some point in our lives, will have seen a recruiter. And sometimes there’s just not that level of care. You have to take it personally. To truly connect with anyone, you have to immerse yourself in the time you spend together. “Just think about what happens before someone visits a recruiter. They’ve put on their best outfit for the interview. They’ve taken public transport or got in a car and paid a ridiculous amount for parking. Maybe they’ve taken time off work. And now, here they are, sitting in front of someone talking about their life’s work. Putting it all out there on the table. They’ve done all that to improve their career and, by extension, their personal life for themselves and maybe their family. They deserve time and respect. “From the outset we have strived to be very community-oriented. In addition to our work with the major players in the FMCG industry, we spend a lot of time recruiting in the regional areas of NSW and VIC. In towns that don’t always have the higher socioeconomic status of the cities. Many recruiters see a staff member getting in the car and driving for an hour and a half as a cost. That’s petrol. That’s time out of the office. But we meet people and we meet businesses, and those businesses give us all their recruiting work. “People always told me to take my time. I’m always in a rush – checking my phone or taking one last call. But I knew that if I were to commit to this, I needed to build good foundations and values that would stand the test of time. Our team all sat around a boardroom table recently and revisited those values. And we still stand for consistency, honesty and the strength of small businesses. “If you always hold those values, you give yourself a chance to be successful. Because you will get knocked. You’re going to get that huge tax bill. If you let things like that defeat you or affect you, you become a statistic. 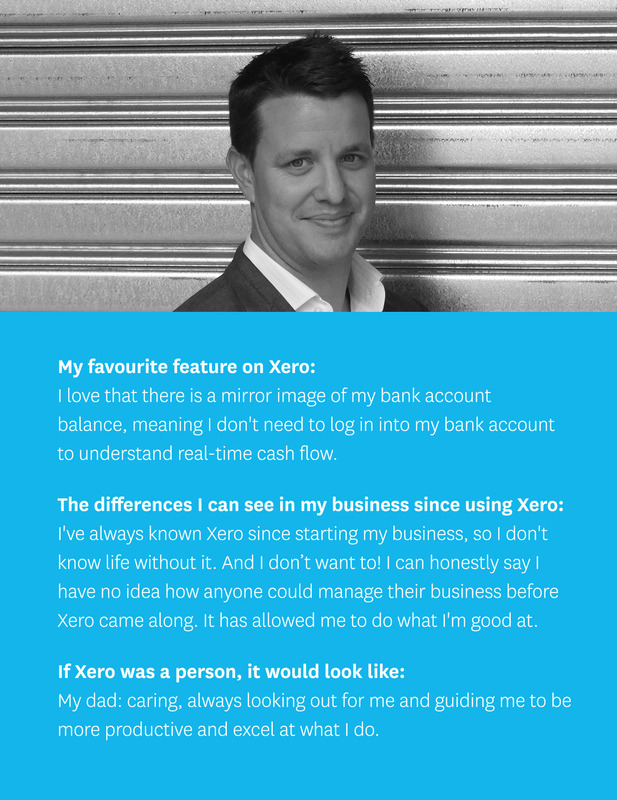 The post This recruiter, who had never run a business before, shares how he quickly learned to be a boss appeared first on Xero Blog. 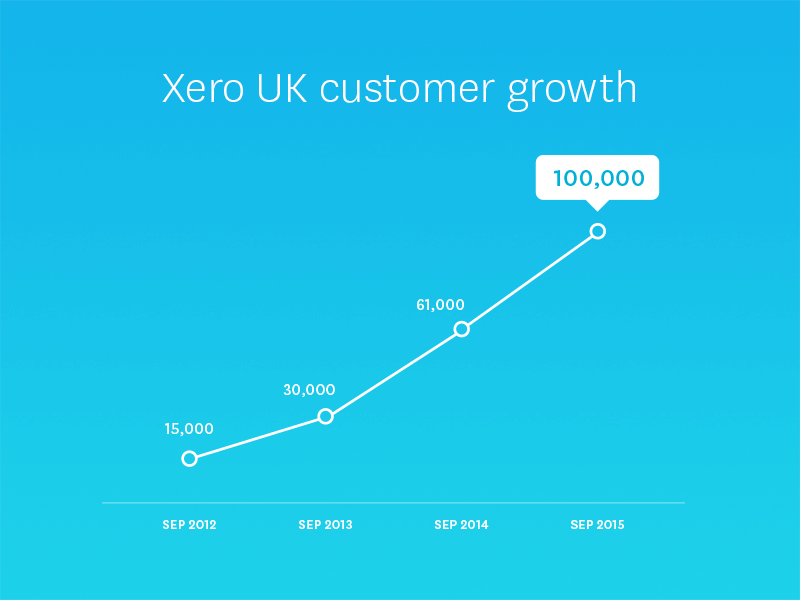 The post The road to 100,000 subscribers in the United Kingdom appeared first on Xero Blog. Fortunately, pulling this off is both easy and inexpensive. 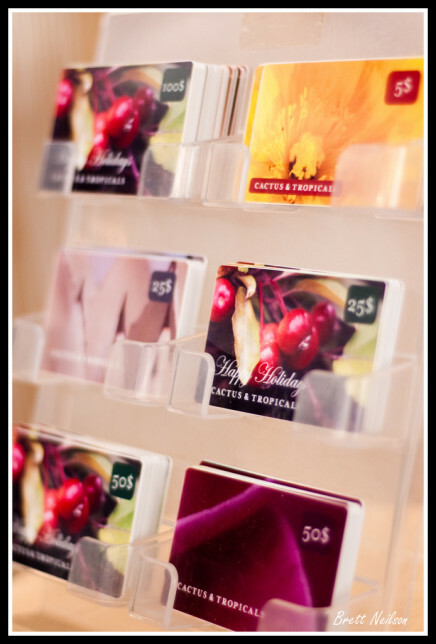 A quick search on Amazon for “gift card displays” will return several ready-to-use racks, shelves, and holders that you can put in your store. Prices range from less than $10 to around $60. 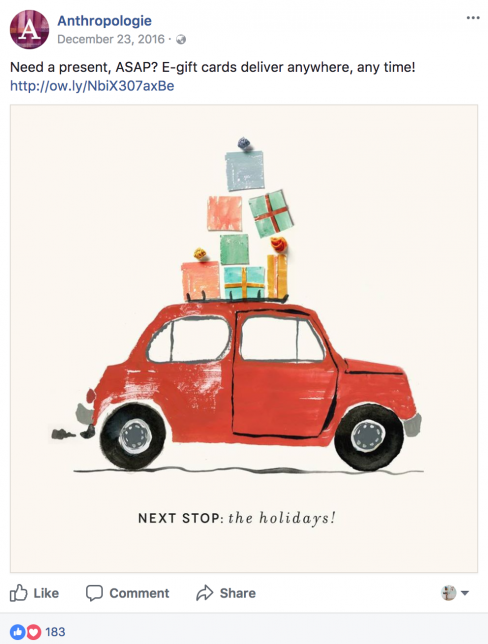 Anthropologies does a good job encouraging people on Facebook to check out their gift cards. 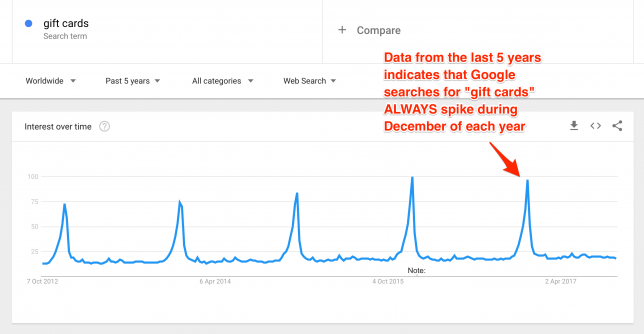 On December 23rd, the retailer published a post telling people who need last-minute presents that they have gift cards availalbe. 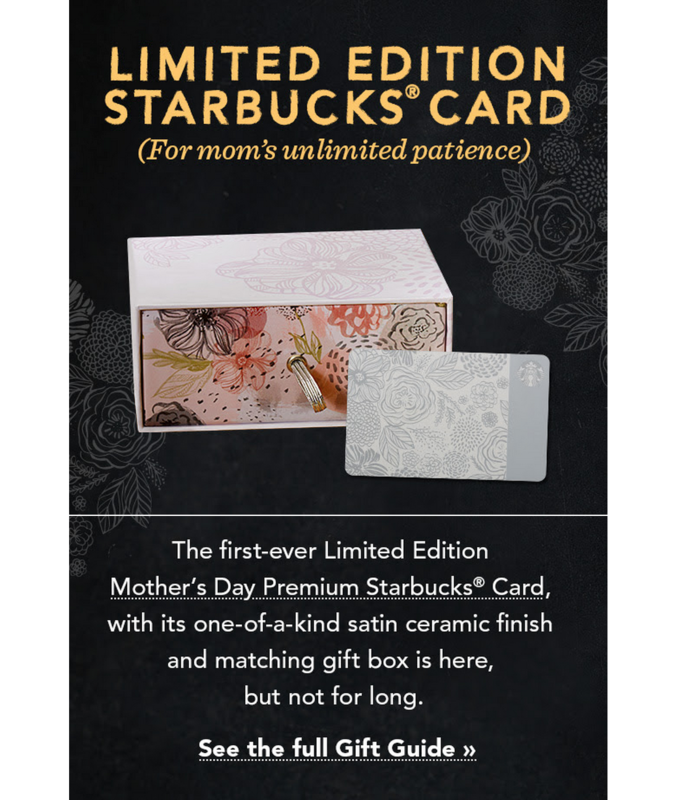 The post How to Sell More Gift Cards in Your Retail Store: 6 Proven Ways appeared first on Vend Retail Blog. I’m delighted to announce that Deputy is expanding its North American management team with the appointment of Jason Walker to the newly created role of VP of Strategy and Operations for North America. Based in Deputy’s new US head office in Atlanta, Georgia, Jason will be responsible for growing Deputy’s footprint across North America. He will work in tandem with Russell Kibbee Deputy’s Business Development Manager for North America. 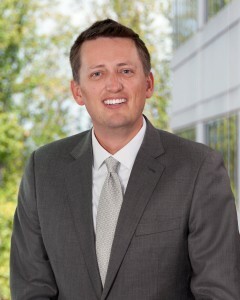 Jason brings more than two decades of executive experience and insight, most recently as Executive Director of Corporate Innovation at MarketSource Inc. where he provided strategic and operational leadership and led the company’s most important business transformation efforts. Prior to his roles at MarketSource, Jason held numerous leadership roles at The Home Depot, led a successful outdoor adventure company, and served as a political consultant and advisor to multiple US politicians. Please join me in welcoming Jason to our US team. His considerable operational and industry experience in the USA will help us manage our rapid expansion and capture market share. The post Jason Walker Appointed VP of Strategy and Operations for North America appeared first on Deputy. Every now and then, we get requests from our customers to do something specific that probably doesn’t fit our overall product vision. Many companies has a philosophy of saying “we don’t do it” or “try this other add-on”or “get it working with zapier” etc.. Because if we all say yes to everything, our product could end up looking rather scary! Which is why we’ve created Deputy’s “extension lab”. Full of automatic actions that can be quickly and easily enabled. Each one has been developed to solve a particular pain point for a customer and they’re being used successfully by businesses today. Birthday today – Send Notification: With this feature a notification will be sent to the manager or the whole team via the Newsfeed when it’s someone’s birthday. It’s a great way to boost morale in the workplace. (Pro Tip: Use this feature to remind yourself of an upcoming pay rate change. Late to clock off – Send notification: When an employee forgets to clock off at the end of their scheduled shift, they will receive a notification on their smartphone or desktop browser reminding them to do so. This feature helps cut down on employee overtime and creates more accurate timesheets. Late to clock on > Send Notification: Sometimes employees are late to work, or forget to clock in for their shift. Not anymore! This feature will send a notification to employees reminding them that their shift is about to start. It’s a great way to encourage punctuality. Clocking far way from location – Alert Manager: Do your employees clock in and out using their smartphones? With this feature, managers are informed via push notification when an employee starts their shift outside the workplace. Ensuring employees are only paid for the hours they’re on site working. Un-filled Open Shift – Send Notification: Open Shift is a fantastic feature that allows managers to offer shifts out to available and properly trained employees. These shifts are then claimed by employees who are eager to work. If a shift is left unassigned the manager receives a notification, there’s no need for them keep checking the schedule, they can be confident upcoming shifts are covered. New Deputy record – Webhook Call: One for the closet nerds: This feature picks up new information in Deputy and sends a call to your chosen URL. For more information take a look at our API documentation. Forgotten Timesheet – Send Notification: This is designed for businesses that require employees to submit full timesheets at the end of each day, popular among professional services like accountants. At the end of the day or set time period, Deputy will notify employees to submit their timesheet. This means more reliable records and less time spent on admin. New Day – Reset Sales Budget: Deputy forecasts your average sales traffic based on historical data, however if on a particular week you predict a surge in your sales you can manually set your own budget. With this feature you can set your projected budget while not affecting the data that’s recorded. One way to think of this is looking forward at the budget you’ve set while looking back on true recorded data. Split Timesheets – Split Timesheet by Roster: This feature is suited to businesses that have employees working across multiple areas or units, such as large hotels with different bars and gaming areas. Instead of having to clock on at each area throughout a shift, employees can clock on once when they begin a shift and again when they finish. Timesheets are automatically divided into the scheduled areas. For more information on how to setup these integrations take a look at our help article, or you can contact one of our customer experience team here. The post A bag full of goodies appeared first on Deputy. Move over Gen Y. Young adults from a new generation are starting to enter the jobs market. Born between 1995 and 2009, Generation Z is the largest generation ever. They make up around 20% of Australia’s population and almost 30% worldwide. Globally there are almost 2 billion of them. Here, are five of their key characteristics and what you can do to appeal to this new generation. 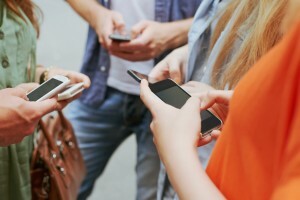 As dot-com kids, Gen Z is the mobile-first generation. Their entire lives have been shaped in the 21st century, connected through digital devices. In the workplace, this mobile-first upbringing will translate into them fully expecting to connect via their mobile devices and have access to real-time information, 24×7. Gen Z is uber tech-savvy. They adopt new technology faster and embrace all things digital. In the workplace, you can put this immersion to good use. For instance if you’re undergoing digital transformation, pair up older workers with younger workers for mutual mentorship. Gen Z workers can mentor on social media and technology to bring older workers up to date with digital technologies. On the other hand, older workers can share and mentor on interpersonal and commercial skills. This will help transfer valuable skills and knowledge from one generation to another, and help eliminate skills vacuums. While Gen Y is famed for its short attention span, Gen Z takes it to a whole new level. A recent American study put their average attention span at 8.25 seconds – officially less than a goldfish, which comes in at 9 seconds. However, when you consider Gen Z has grown up quickly sorting through and assessing enormous amounts of information, you can see that this short attention span is more like a highly evolved filter. Indeed, once something has caught their attention, Gen Z can become intensely committed and focused. At work, the trick is to catch their attention with something meaningful and relevant that they can truly make their own. According to a survey of college and university students conducted by Robert Half and Enactus this year, while salary ranks as a top priority for Gen Z, it comes second to growth opportunities. In terms of recruitment and retention strategies, it’s essential to promote training, map out career paths, and the steps new Gen Z hires can take with your company to get there. For Gen Zs, it’s not necessarily about starting their own businesses, it’s about driving results and seeing how their efforts contribute to the bottom line. This generation is certainly not afraid of hard work, but as their employers, you will need ensure you show them how their hard work matters. The post About to make your first Gen Z hire? Here’s what you need to know appeared first on Deputy. With very few exceptions, retailers cannot compete on products and price; your merchandise can be found elsewhere easily and for less money. 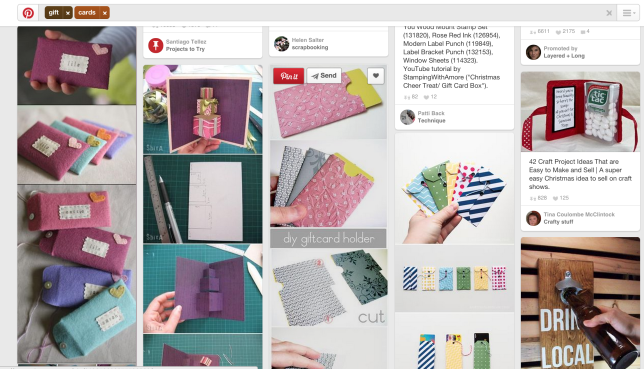 Smart retailers compete on service. Now, providing “great customer service” sounds easy enough to uphold, right? Not so. According a recent New Voice Media study, following a negative customer experience, 58% of Americans would never use that company again. Customers expect great customer service regardless of how they shop the brand — as such, retailers must think outside the box to provide surprise-and-delight customer service that propels them ahead of their competition. Learn from a top expert and get all your questions answered. Retail store owners and managers who want to compete with merchants selling the same products for less. Join Erin Harris, Editor-in-Chief at Innovative Retail Technologies, as she talks about how you can gain a competitive advantage by offering customer service that keeps shoppers coming back. Can’t make the time? Don’t worry, just register for the webinar anyway and we’ll let you know when the presentation is available for viewing on-demand. If you have any troubles registering, or need help at any point, feel free to get in touch with us at expertwebinars@vendhq.com. 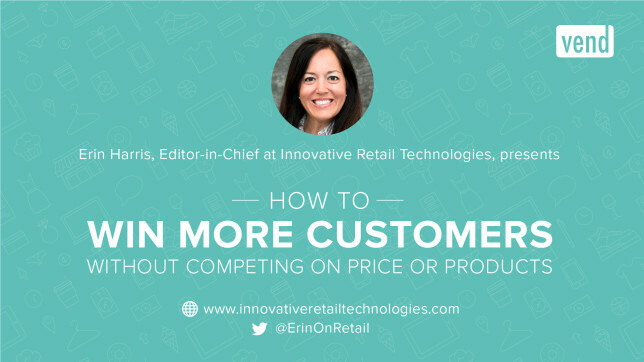 The post Retail Success Webinar: How to Win More Customers without Competing on Price or Products appeared first on Vend Retail Blog.